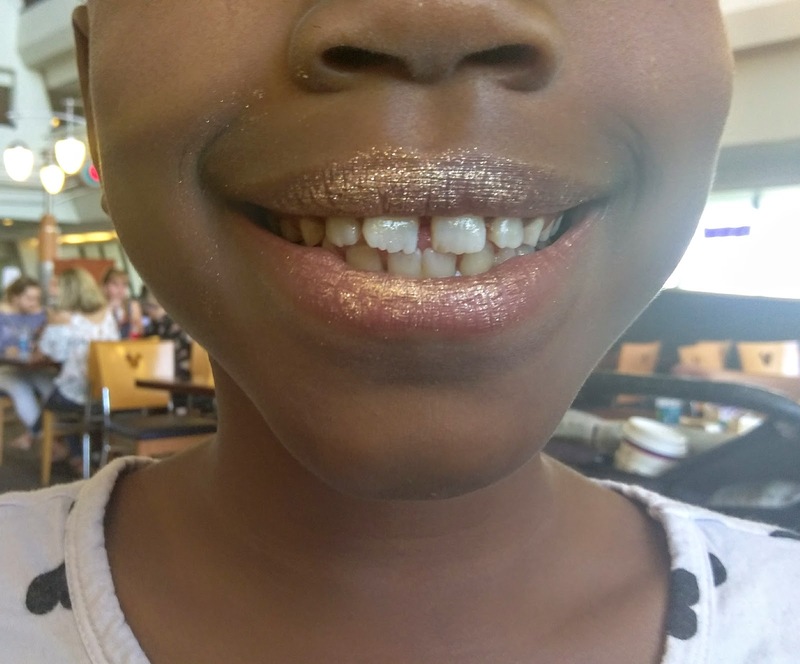 Kingdom Konsultant Travel Blog: Cupcake Review! Lemon and Rose Gold Cupcakes from Contempo Cafe! Hey Howdy Hey, Disney Foodies! Everyone ready for more sweet treats? Just last weekend, I stopped by the Contempo Cafe at The Contemporary Resort and got to check out two of Disney's newest cupcakes: A different version of the Rose Gold Mouse Ears Cupcake and a Lemon Cupcake! Can't wait to tell you about them, so come on along! 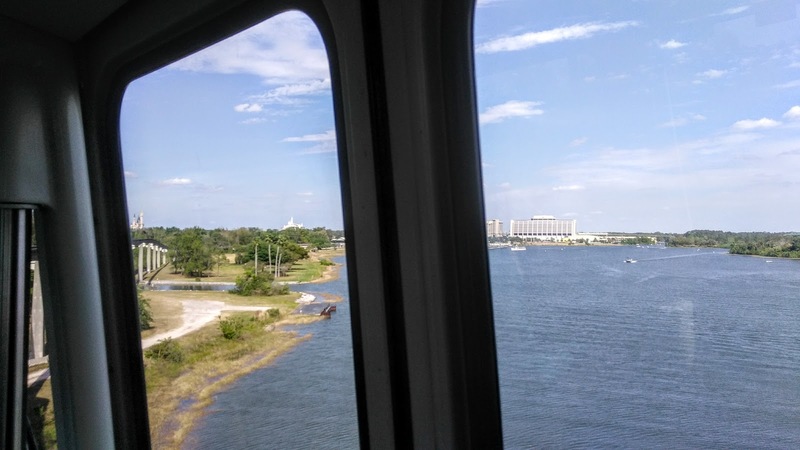 The Littles and I parked at The Grand Floridian and decided to spend some time riding the rails of the monorail, before we decided on a place for a snack. Does the monorail make everyone as happy as it makes me? Sure it can be crowded and sometimes smells a little barnyard-like for some very strange reason, but that soothing narration, the wide windows and the "Please stand clear of the doors," all just make me feel right at home. 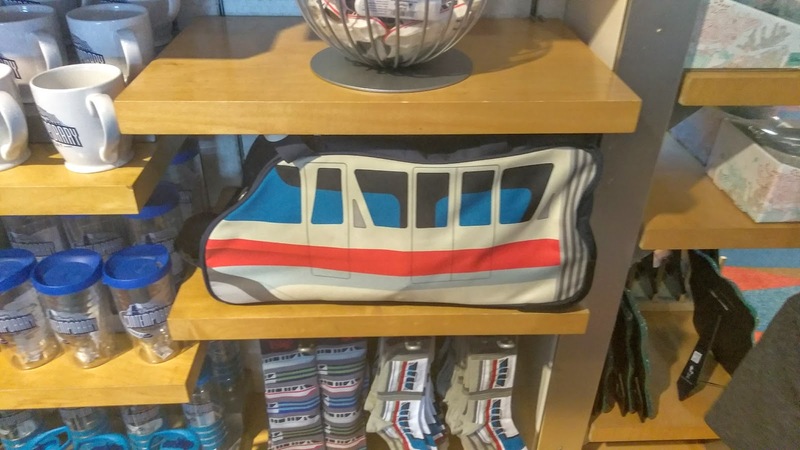 Same for most Disney fans, I'm guessing since one of the newest merchandise lines features the monorails, prominently. Cute stuff, too! Monorail tote bags, socks and mugs. 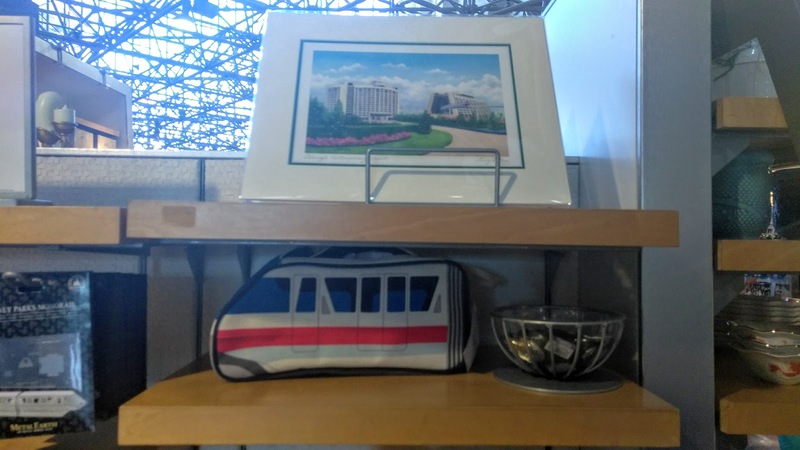 Monorail toiletries bags, figurines and more! 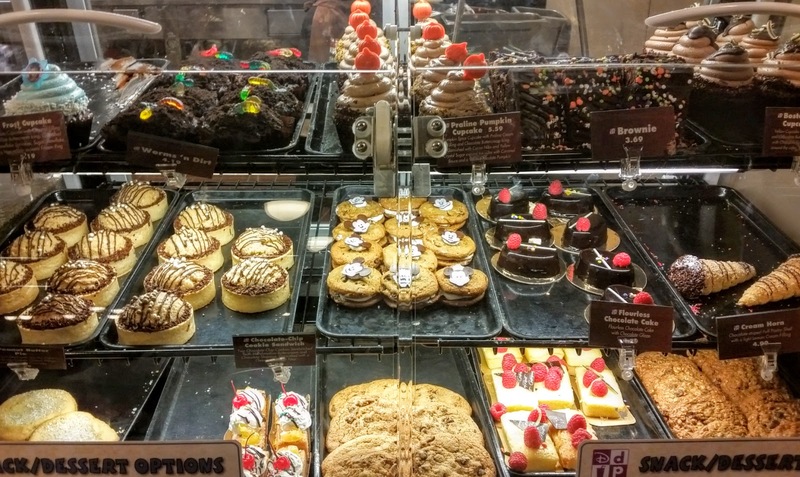 We picked the Contempo Cafe for a snack, since their bakery case is always choc-full-o amazing cupcake creations, and this day was no exception. There were Chocolate Cherry Cupcakes, Birthday Cake Cupcakes, Frozen Cupcakes and Mocha Cupcakes, but we picked the two we wanted to try the most... 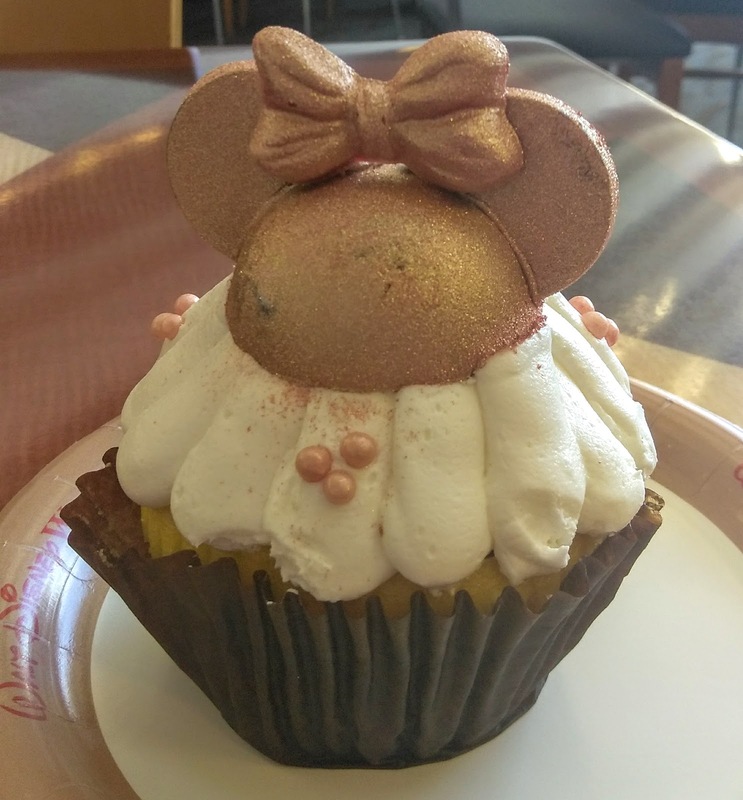 The Rose Gold Mickey Ears Cupcake and the Lemon Cupcake. Contempo Cafe's amazing bakery case. This pic is from Halloween, but you get the idea.... yum. 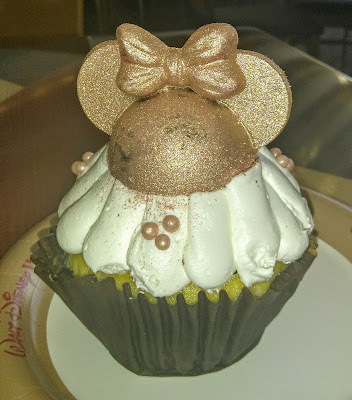 Super cute, but not quite the same "wow" factor as the BoardWalk's version, (though they both sported the same, hollow chocolate Minnie ears, dusted in rose gold edible glitter). I was excited to find that the frosting on this one was indeed buttercream and not whipped cream, so score one point there. 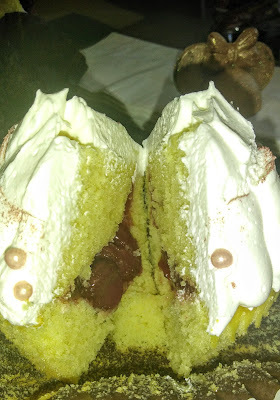 The cake was a moist yellow sponge, and the filling on this one was strawberries. (More like strawberry pie filling than fresh strawberries.) There was a good amount of filling, without it being too goopy. Overall, I really liked this one, and think taste-wise, it was the clear winner over the BoardWalk's version. Call me crazy, but a cupcake NEEDS frosting. 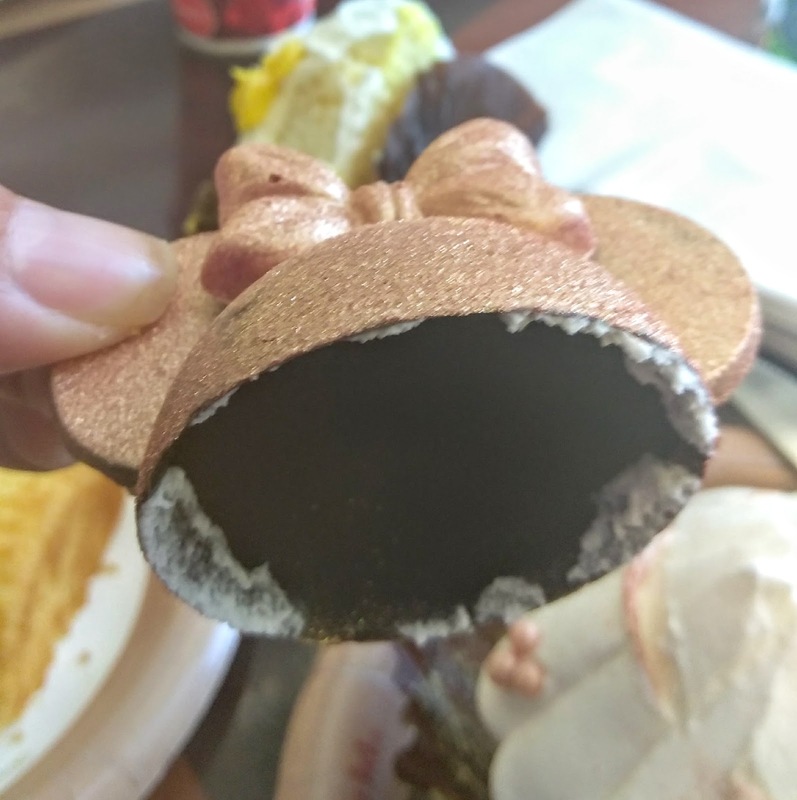 My daughter was a big fan of the chocolate ears. Not as a treat.... as a lip gloss. Yeah, don't worry, I didn't even let her back on the monorail with that still on. She can wear make up, (real or made of desserts), when she's older, but not at 9. So that leads us to the Lemon Cupcake. This one had an appearance that was very confusing to me. 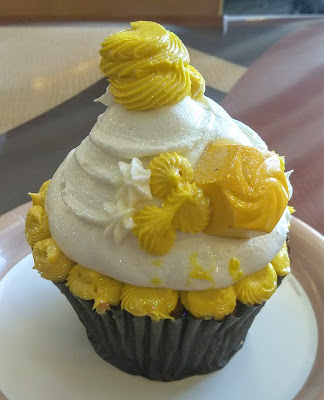 At first, I thought it was a Belle cupcake, due to the yellow and gold color combo and the sparkles, but it was not labeled as such. It did feature a white chocolate truffle, filled with lemon, along with buttercream frosting. I don't know... this one wasn't nearly as appetizing looking to me. The color of the icing resembled mustard and since mustard is one of my most hated foods on the planet, it was a little off-putting. I am happy to report, however, that it did not taste like mustard, at all. The frosting was just plain vanilla frosting. The cake was the same yellow sponge as the Rose Gold Cupcake, but this one was filled with lemon pie filling. 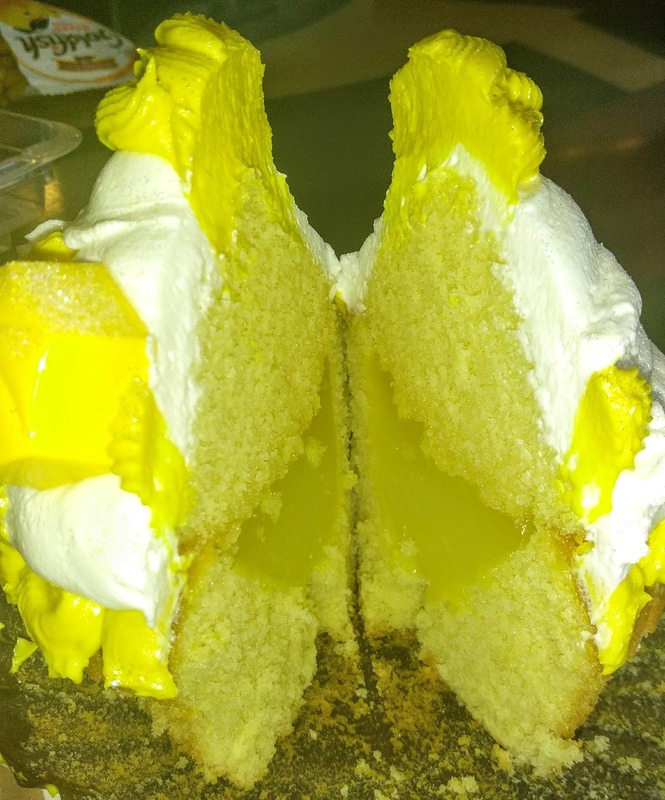 If you are a fan of lemon donuts or lemon meringue pie, you'll like this cupcake. I enjoyed the flavor of this one more the the Rose Gold, since I am a lemon girl. My daughter even liked this one more and she's not usually a lemon-eater. She said she liked the sweet-tart filling the most. I would get the Lemon Cupcake again! After cupcakes, we rode the rails a little more, lazed around the Polynesian for a bit, and then drove on home. Tough life when you're a Disney family. Until next time, dudes, have a magical week!